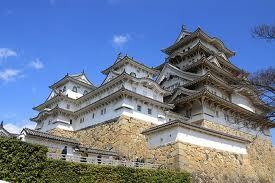 Himeji Castle, built in the early 17th century, represents the highest achievement in Japanese castle architecture. Designated as a national treasure in 1931, the castle was registered as the World Cultural Heritage in 1993 as the first cultural site in Japan. The registration occurred because the castle has kept its original design at the time of construction, such as turrets, stone walls, gates, and moats, which still survive today. The main castle keep (Dai-ten-shu) connected with three small keeps (Ko-tenshu) linked by passage turrets (Watari yagura) remains perfectly in their original forms. Because of its elegant appearance totally covered with white plaster,the castle has been compared to a white bird flying off to the sky. 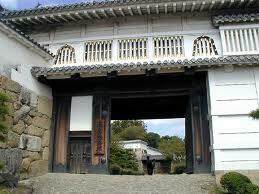 Its famous nickname is White Heron Castle. 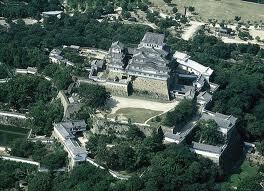 Take enough time to tour around the castle. Transportation: 15min. walk from the north side of Himeji sta. "Renovation of Himeji Castle Main Keep"
The renovation period will be a full five years after the start of the scaffolding installation planned in around 2009(Heisei 21). During the renovation period,a roofed scaffold structure will be installed to fully cover the main keep. 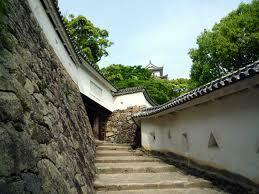 The roofed scaffold structure and other scaffolding will be removed in 2014 (Heisei 26). We always make best effort to write correct informations as much as we can,but we don't garantee our informations are all correct. We have no responsibilty at all if any damage would be incurred.Please confirm that using our information is all your responsibility.